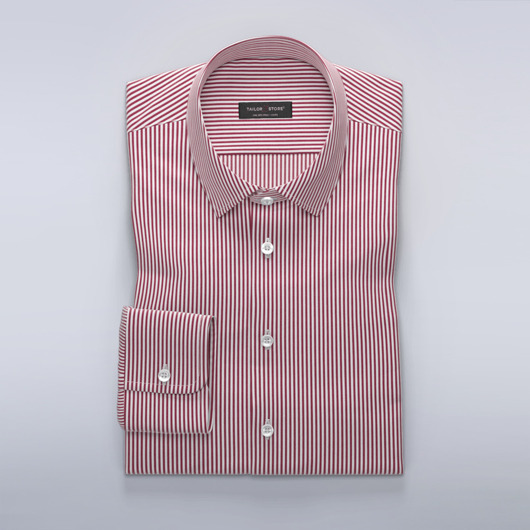 White slim-fit dress shirt with thin green stripes. 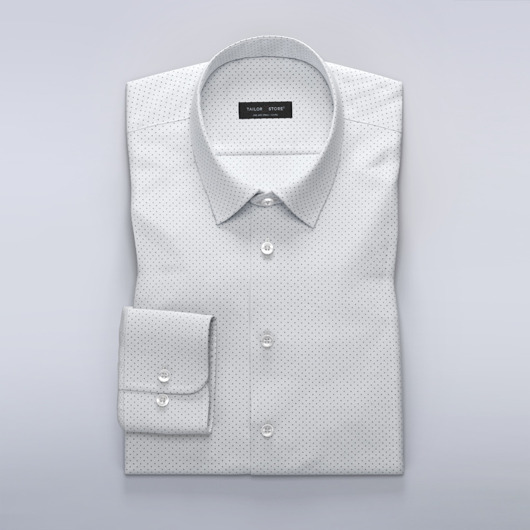 Soft on the skin, this classic casual shirt features stylish white inside cuff, collar and placket contrasts. Order our suggested design or customize it to your preference. Made to your measurements.